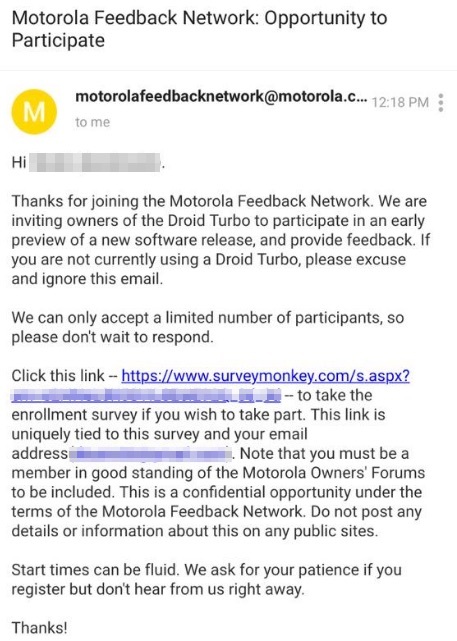 Invites to a soak test of “an early preview of a new software release” for members of Motorola’s Feedback Network who own the DROID Turbo arrived this morning. Is it Lollipop time for Turbo owners? It might be, though the details in the invite aren’t specific enough for us to know for sure just yet. The invite, again, mentions that this soak test is for DROID Turbo owners to preview a “new software release.” If you jump through to the attached survey that tries to decide if these forum members would be a good fit for the test, questions about current software (21.44.8 specifically) and if the person has VoLTE/Advanced Calling 1.0 on their account are asked. 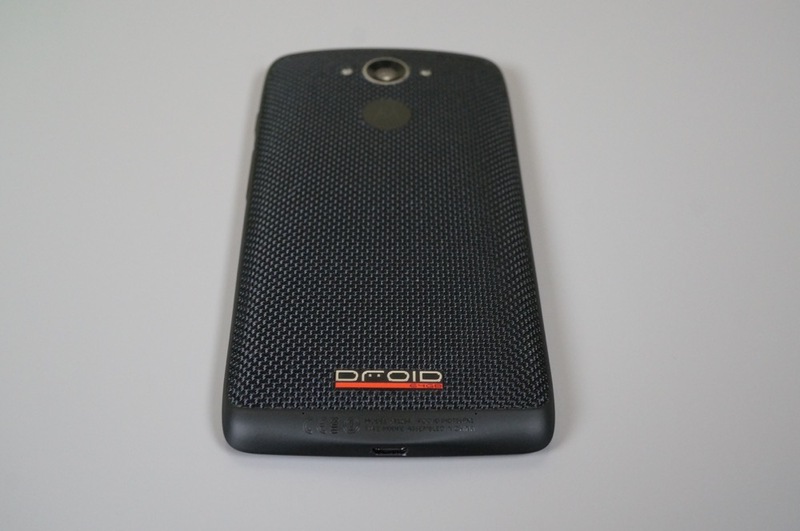 No mention of Lollipop or Android 5.0 is there from what I have been told. We should point out that the update to 21.44.8 that is referenced in the questionnaire rolled out back in December, giving the Turbo VoLTE and Advanced Calling 1.0. With references to both of those things appearing again in this survey, I’m wondering if this isn’t a VoLTE bug fixer, rather than Lollipop. Or maybe Motorola needs to confirm that the potential tester has both of those in order to test the new Lollipop build. Hopefully we know for sure within the next day. Cheers D, D, J, S and M!